Learn how to bring out Makoa's mean side with our guide on how to play Gibraltar in Apex Legends. Apex Legends lives up to its name, letting players control one of nine powerful characters as they battle in Kings Canyon. Each comes with a Passive Ability, Tactical Ability and Ultimate Ability that serve to shape their playstyle. In this character guide we’ll be giving you the lowdown on how to play Gibraltar in Apex Legends. Whenever Gibraltar aims down sights he will deploy a shield on his arm to protect the upper half of his body. This can be disabled by hitting the button prompt (H on PC). Gibraltar throws a deployable shield a small distance. Where it lands a dome shield is deployed, protecting those within from incoming fire and grenades. Gibraltar equips a marker grenade which can be thrown a medium distance. A large circle will appear around its landing zone, followed by a lengthy series of mortar strikes within this area. Gibraltar is arguably the most beginner-friendly legend on the list, but fans of the big man shouldn’t worry as there’s plenty of room for high level play with him too. 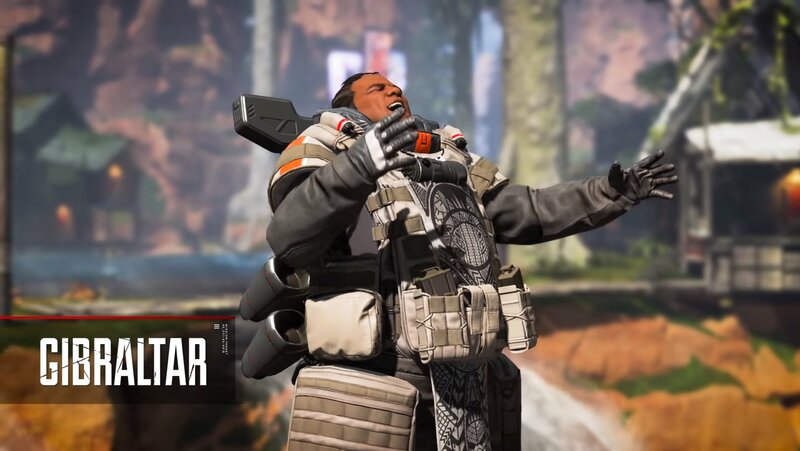 Gibraltar is the largest of Apex Legends’ cast, and that makes him a bigger and easier target than most others. While he may be large, he shares the same health and armor as the rest of the cast, meaning you’ll need to make use of his abilities to survive. Gun Shield is a key advantage in fights, forcing his opponent to expend ammo depleting it or to shoot at his legs. Be aware that the glowing blue effect will draw a lot of attention and mean you’ll be shot at more than most. This can work brilliantly as a distraction, but if you’re sneaking up on an enemy team then deactivate it. Because Gun Shield covers the upper half of your body, Gibraltar really excels behind cover. Stand behind something which blocks his legs and you’ll have the edge in medium to long range duels. At closer ranges, try to keep your face to your enemy at all times and stick as close as possible to pressure them. Dome of Protection is Gibraltar’s most versatile abilities. If you’re new to the game, we’d recommend throwing this down any time you’re in the open or separated from your squad when shots come in. This will give you a chance to identify the source of the attack, replenish your shields and decide if you want to run or strike back. Once you’re more comfortable moving and shooting, save your shield for defense against Ultimates, reviving downed allies, and time to heal or boost shields. 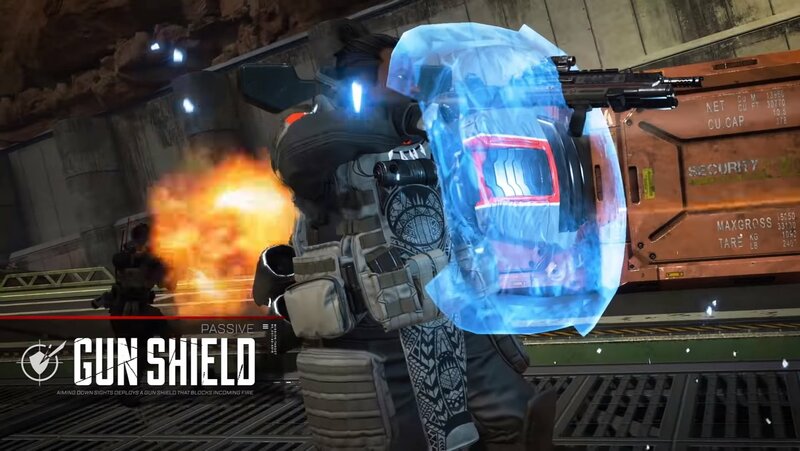 While it protects against damage, enemy players can run through the shield barrier to attack and it’s worth noting that it blocks fire in both directions, including grenades. Throw a grenade within the dome and you’ll need to hop outside before it detonates o take some serious damage. Dome of Protection lasts nearly the same length as his Defensive bombardment and Bangalore’s Rolling Thunder, making it an immediate counter. Defensive bombardment is a great tool to get aggressive enemies off your back. Throw it down when you’re attacked up close and they’ll be forced to back off or risk big damage. Just remember that the bombardment will hurt you too, so either pop your dome shield or back up after you’ve thrown it. Gibraltar is built around defense, but he’s equally threatening on attack. Ironically, Defensive bombardment is one of the best offensive Ultimates in the middle of a fight. If you manage to down one of the enemy squad, throw your Ultimate marker as close as you can. 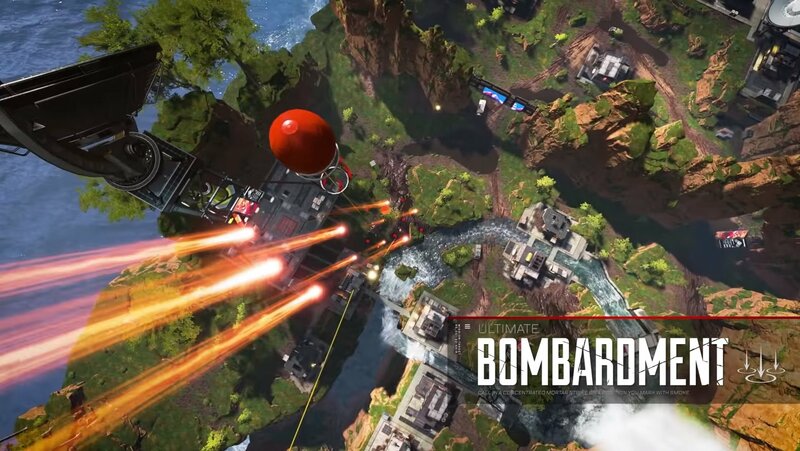 Revives are fast in Apex Legends, but unless they have a Gibraltar of their own, few will want to risk it in the middle of a bombardment. This is a great method to eliminate players even if they’re behind cover, and gives your squad the numbers advantage. Defensive bombardment is also a great precursor to making a push of your own. Once the strikes start falling, push your team forward to attack. Gibraltar’s mortars will damage him but won’t hurt his allies (though they will be slowed), leaving them free to hunt down fleeing enemies. This works especially well when combined with Pathfinder’s zip line or a Bloodhound to spot their hiding space. Dome of Protection is an exceptionally useful retreating tool. With a Wraith or Pathfinder on your team, Dome of Protection can be used to set up an escape route to an advantageous position via portals or zip lines. Both these heroes can perform these actions in relative safety, so communicate with your team to make the most of your powers. Dome of Protection doesn't have to be thrown at your feet, either. If you need to get out of a tough spot or cross past a sniper, throw it down in the gap before running behind it. You can also use Dome as a bait for enemies. Chuck it in the midst of your own orbital bombardment and foes will often run to the dome for shelter. Wait inside with a shotgun or have a teammate ready to drop a grenade inside then duck out to ruin someone’s day. The real key to mastering Gibraltar is in communication. His abilities can benefit any member of your team but you need to be in constant dialogue. Squadmates should ping bombardment locations if they want to push, or their own positions for dome shields and protection. 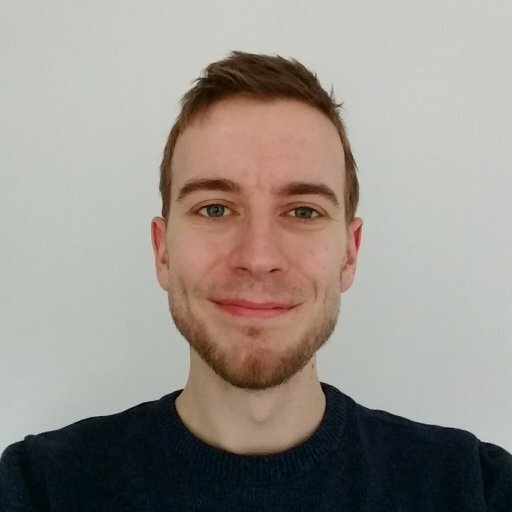 Aside from his Ultimate, Gibraltar will rarely take the crown when it comes to kills or flashy plays, but he will keep his team alive when used well, making him an invaluable addition. That’s all we’ve got for our Gibraltar character guide, but if you have any tips of your own then leave them in the comments below! Looking to learn another Legend? We've got a guide for the new Adrenaline Junkie Octane! Want the other original Legends? 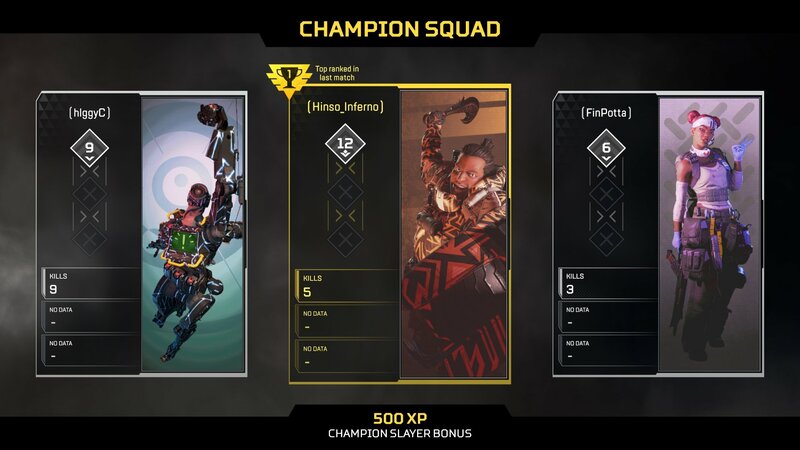 Here's our guide to mastering Lifeline, this guide will help you master Pathfinder, here we can teach you Wraith, Bloodhound's covered here, while over here we'll teach you how to play Bangalore. 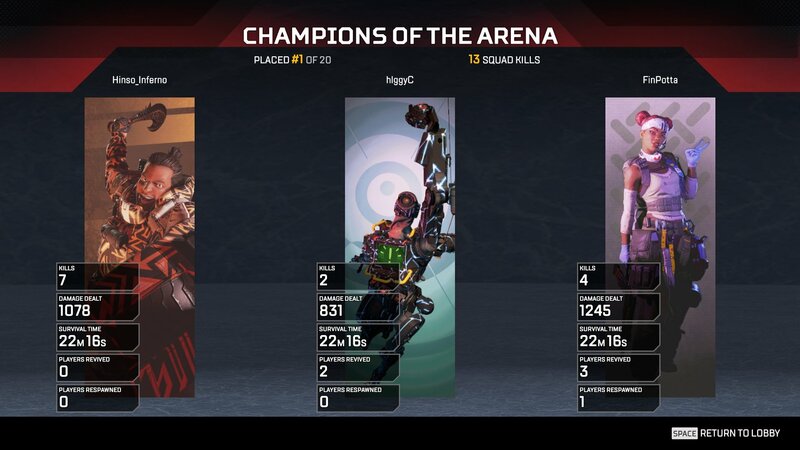 Check out the rest of our Apex Legends guides for more useful information like our rundown of the best weapons in the game.